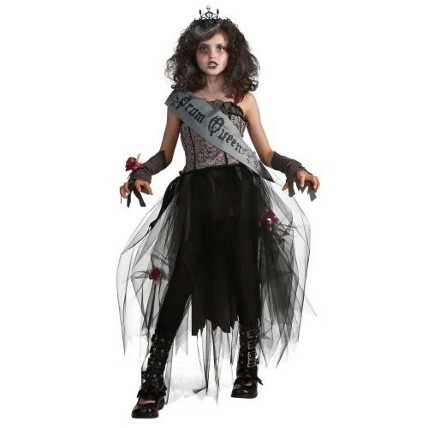 Includes dress, sash, tiara, glovelets, and wrist corsage. Includes shirt with buckles and skirt. Choker, purse, and boot covers not included. Includes tattered dress and tattered tights. Includes jacket with EVA shoulder piece and chain detail, vinyl mask with attached cap, and studded gloves. 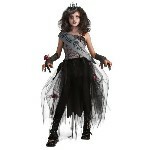 Includes dress, choker, and tiara. 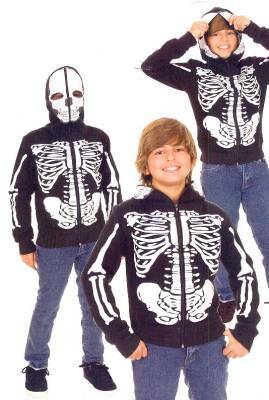 Includes full zip skeleton print sweatshirt hoodie with see-thru face mask. 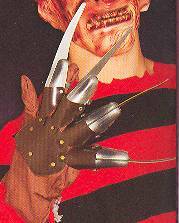 Includes "Action Jaw" mask with cowl, jumpsuit and gloves with 3-D molded bones. 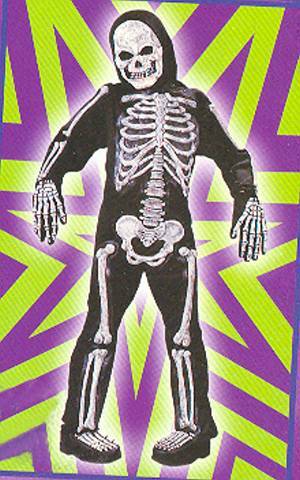 Includes jumpsuit with molded plastic skeleton bones, headpiece, and gloves. 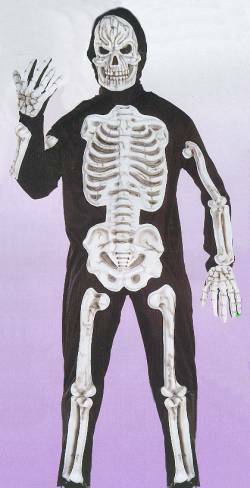 Includes jumpsuit with 3D skeleton bones, hooded 3D skeleton mask, 3D bone gloves, and shoe tops. 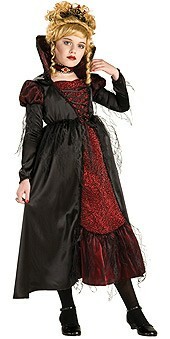 Includes dress with petticoat, choker, and tiara. 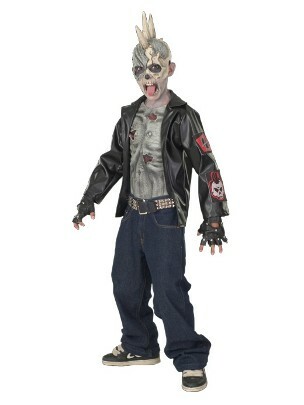 Includes vinyl mask, jacket with molded chest, and studded gloves. 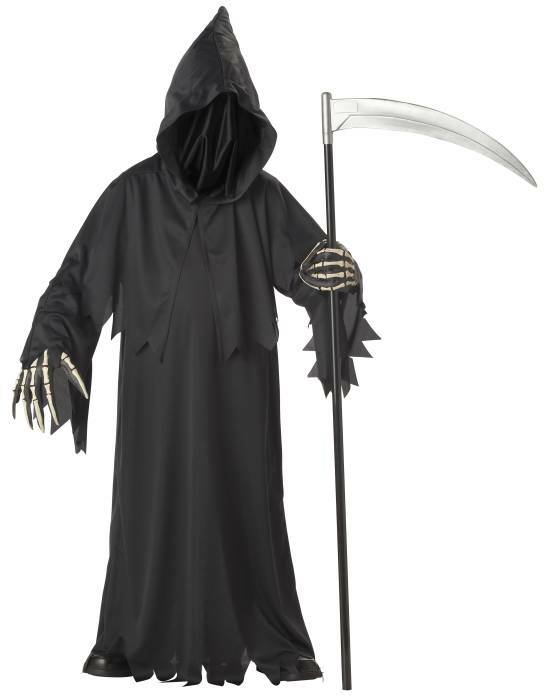 Includes robe with overdrape, see-through mesh mask with "fade in and out" eyes, and waist sash. 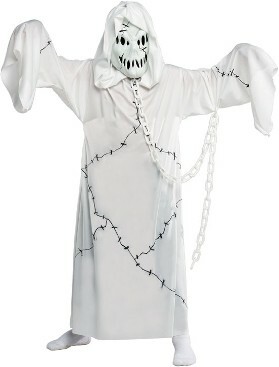 Includes hooded robe, mask, and chain. 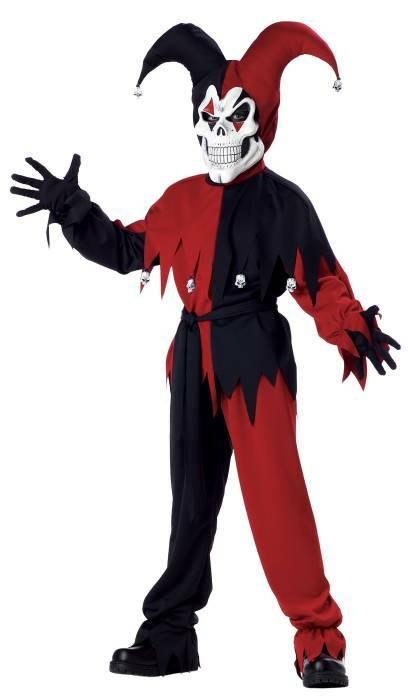 Includes shirt with skulls, pants, waist sash, headpiece, and mask. 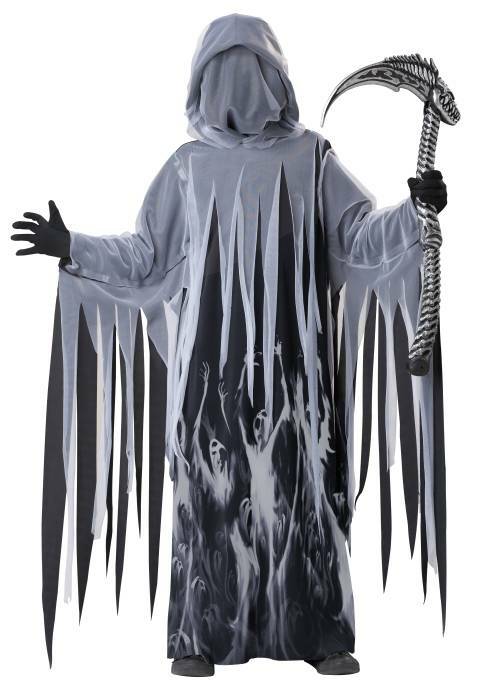 Includes screen printed poly robe with grommet and chain trim, vinyl skull mask, and hood. 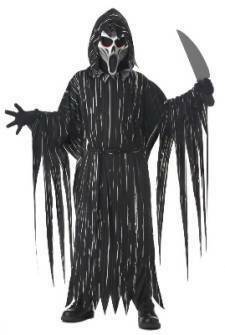 Includes robe with attached hood, waist tie, and mask. 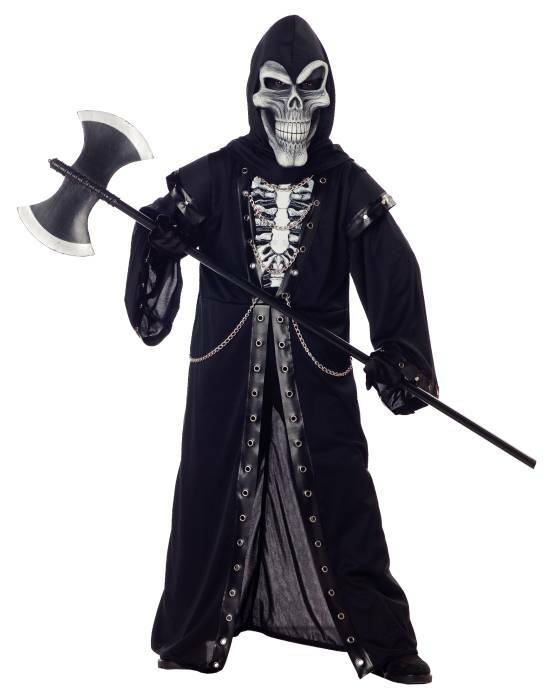 Includes robe, hood with face cover and attached cape, vinyl skeleton hands. 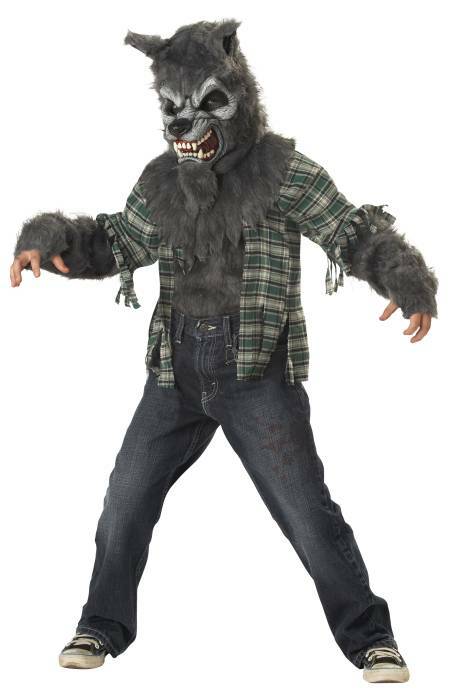 Includes wolf mask, and shirt with attached fur. 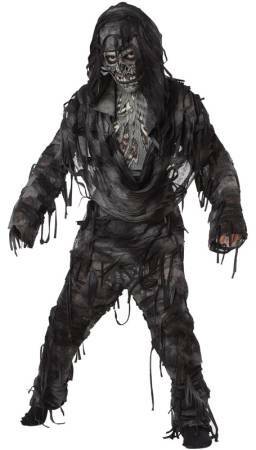 Includes shirt with attached hood, chest piece, half mask, and pants. 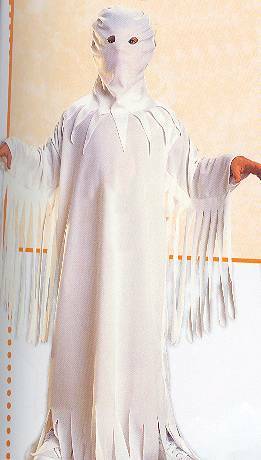 Includes robe with attached see-through face cover, and hood. Weapon and gloves not included. 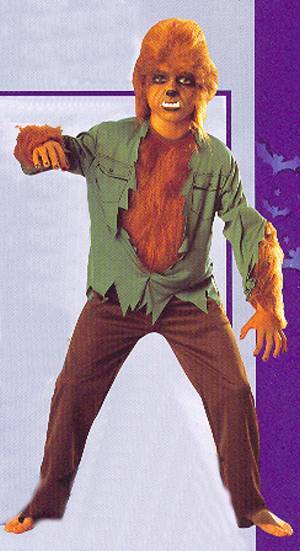 Includes fur wig, shirt with fur trim pieces, chest and pants. Includes printed jumpsuit. 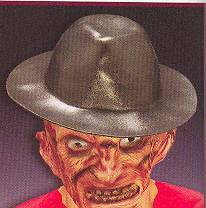 Axe not included.